The Galapagos is a stunningly beautiful chain of volcanic islands with white sand beaches, gorgeous sunsets and the world's most unique animals. Is there any better setting for a perfectly relaxing, yet adventurous, romantic holiday? 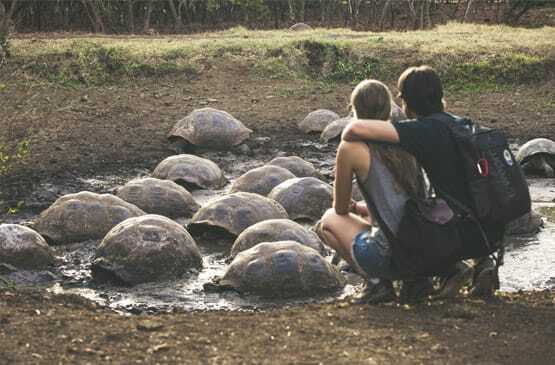 A Galapagos Honeymoon is the Ultimate in Romance. If it's a romance you're after, the Galapagos is the perfect setting! Watch dramatic sunsets, enjoy a moonlit dinner cruise and relax in luxury A-deck suites. 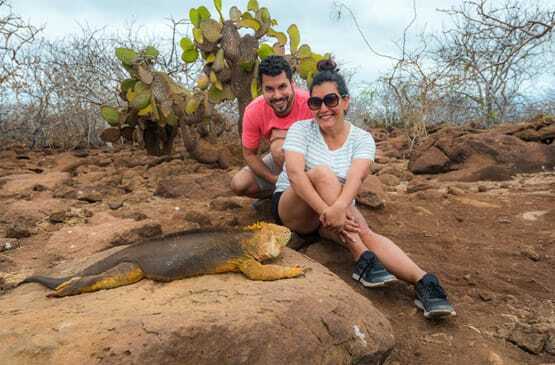 Because the number of visitors to the islands is limited, the Galapagos is a quiet destination that's ideal for a bit of newlywed serenity and seclusion. 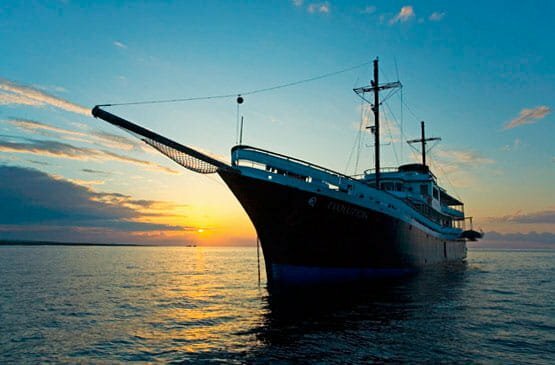 You can even sail on the official yacht that was used by Princess Grace on her honeymoon, now famously known in the Galapagos as M/Y Grace! 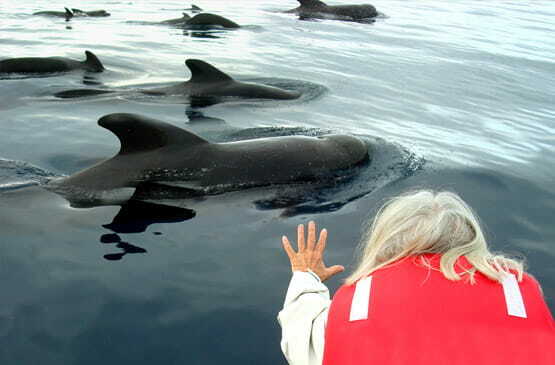 Browse the latest Galapagos cruises specials and travel opportunities with Quasar Expeditions. The Galapagos is a stunningly beautiful chain of volcanic islands with white sand beaches and gorgeous sunsets. 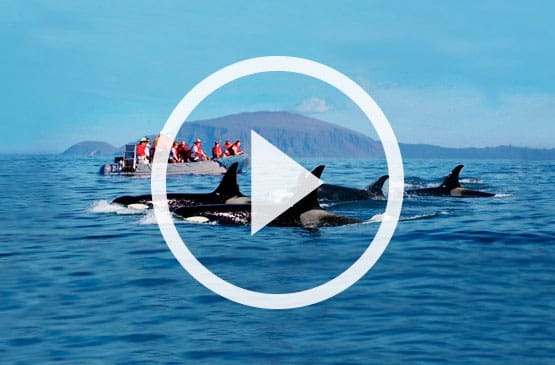 See the world's most unique tropical paradise on a Galapagos honeymoon! From snorkeling with sharks and seals, to watching boobies dance, our cruise around the Galapagos with Quasar Expeditions, was one life-changing experience! 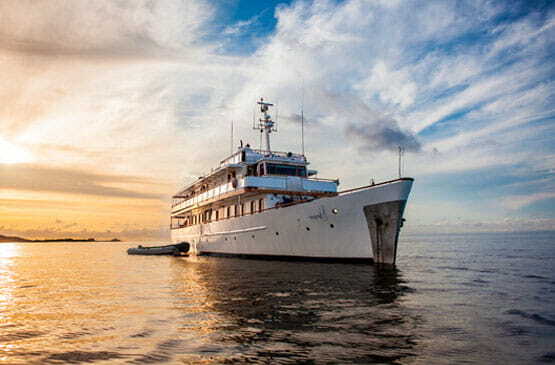 Travel to the Galapagos aboard Princess Grace Kelly's Royal honeymoon yacht. 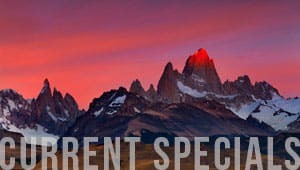 Exclusive for 18 guests. 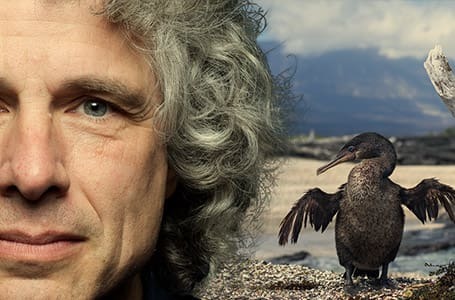 Experience the Galapagos the way Charles Darwin did; privately and intimately. Exclusive for 32 guests.